You work hard to keep your log home looking great, but restoring a log cabin is no easy task. The professionals at LogMedics are experienced and ready to go to work so you don’t have to. Let’s bring the beauty of your log home to life. A log cabin home is a timeless structure, but it does require upkeep to restore and preserve your logs. We know that you want to enjoy your log home without stressing over every little detail. LogMedics can handle any problem you may experience from log replacement, log repair, log railing installation and repair, media blasting, stripping, staining, chinking and more. 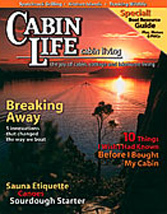 We also help provide your cabin with preventative maintenance. LogMedics specializes in providing service to Arkansas, Oklahoma, Mississippi, Missouri, Kansas, Louisiana, Indiana, Illinois, Ohio, Kentucky and Michigan. 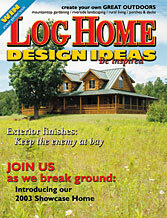 Restore The Beauty Of Your Log Home Today!